Harvest Moon is a classic that many Nintendo fans love. It is good to know that this franchise is still alive and well. The latest Harvest Moon game is currently being translated into English as Story of Seasons. 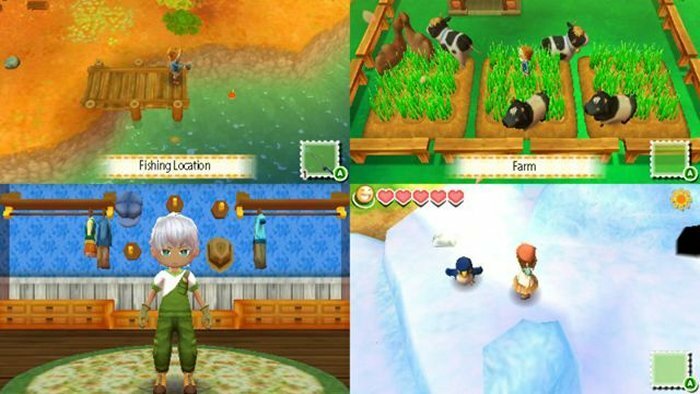 Story of Seasons will arrive on the Nintendo 3DS in North America later this winter. Awesome news for fans of the original game. That’s when fans will be glued to the screen and totally happy about it. This title was released in Japan earlier in the year with the name Bokujou Monogatari: Tsunagaru Shin Tenchi (Harvest Moon: Connect to a New World). This farming and life simulation game should be just as good as the others and this one also has the addition of new multiplayer as well as StreetPass features. Story of Seasons was developed in Japan by Marvelous AQL and the project was headed by Yoshifumi Hashimoto, the studio’s head of development and longtime producer of the franchise. So you know it is in good hands. He says that he wants to “fulfill our loyal fans’ expectations and desires while ushering in a new generation of games to come.” Let us hope that the game lives up to the hype.